Last year, global spending grew by 17.8% across the holiday period, with online buying in the US alone toppling $108.2 billion. We all know how important it is to delight customers at this peak time, but new research shows it isn’t always bells and whistles at Christmas. 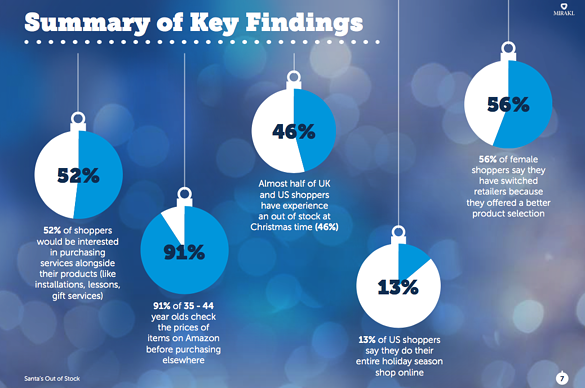 In this consumer-driven survey report, we will uncover how buyers across the US, UK and France feel about the options available to them during the holiday season, and crucially, the impact when retailers get it wrong. Download this study to understand the impact of product breadth and depth this holiday season.